Touching/very imotional. Great art work. Muy bien lograda...tienes una mirada super especial y creo que ya lo sabes. Preciosa y tierna, muy bien lograda, DAvid, felicitaciones!! i coudn't agree more with the above comments. good job! 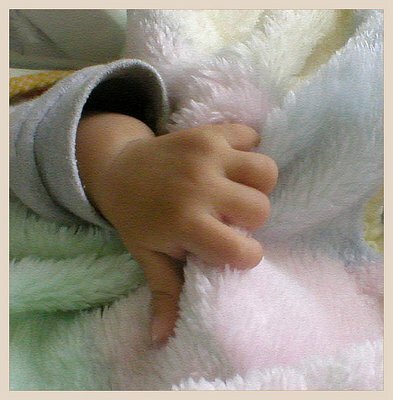 Nice colors in the soft blanket and precious capture. Thx for sharing. Very beautiful capture....it seems to be a bit grainy....not sure if that was what you were going for but either way....very beautiful. Such beautiful soft colours. Excellent capture.